The Child Brain Injury Trust’s Legal Support Service Provider for Northern Ireland is Thompsons. We recently settled a claim for a child who had sustained a significant traumatic brain injury after being hit by a car. The settlement achieved provided the child with the long term assistance which she required in terms of specialist support and intervention and helped to make her life and that of her family more comfortable. Oonagh is an extremely experienced Personal Injury and Clinical Negligence solicitor. She has been involved in Personal Injury litigation since 1992 and has been dealing with Brain Injury cases on behalf of both adults and children for over 10 years. 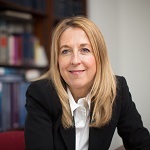 She is the NI Executive Committee representative for the Association of Personal Injury Lawyers and a board member of PEOPIL, The Pan European Organisation for Personal Injury Lawyers. 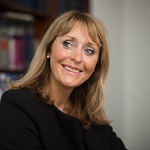 Joanne has extensive experience of dealing with personal injury and clinical negligence cases on behalf of claimants. She specialises in cases involving serious and often life changing injuries. She prides herself on empathising with her clients and is focused on supporting and guiding them and their families through each stage of the claims process. She is committed to securing the maximum amount of compensation possible to enable her clients’ long term needs to be met and to help improve their quality of life. Joanne is a member of the Belfast Solicitors’ Association and the Association of Personal Injury Lawyers. Office Address: 171 Victoria Street, Belfast, BT1 4HS. We hold monthly regional clinics in Ballymena, Coleraine. Londonderry, Newry, Omagh & Portadown. Home visits available on request. See our website at www.thompsonssolicitors-ni.com. If you would like to talk to someone from Thompsons, please tell us a little bit about your enquiry and how we can contact you. One of the expert team from Thompsons will be in touch with no obligation, free initial advice.